Great giveaway! This books sounds awesome! :D Thanks for sharing it! It is really good! I hope you get a chance to check it out soon! Thank you for commenting! I'm happy to host this opportunity! :) I have entered your giveaway as well- really nice of you to offer it! Thanks for commenting! Thanks for the giveaway and review. Jane Eyre is my favorite book of all time, so I'm always excited to read related attempts by other Jane Eyre lovers. I'm so glad to hear from another JE fan! I love to read JE related novels as well! Thanks for commenting! I was wanting to read this but this review has pushed it up WAY higher on my que..it sounds awesome! Oh wow, Charlene, you are very awesome! 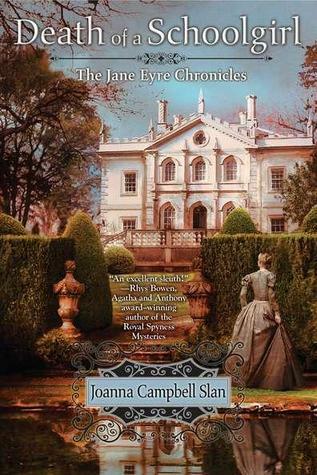 This is another great review of another Jane Eyre -related book that I wasn't aware of. I'm very happy to add it to my list. And thanks for the giveaway! I'll be looking out for that interview! A continuation to Jane Eyre. wow dat sounds awesome! great review it sounds like you enjoyed it! truly sounds like an interesting read! Although I'm too late for the giveaway, have to say I love the review. I also like the cover of the book! Looks like a nice read! Thanks, and I hope you enjoy if you get a chance to read it! This book sounds super entertaining! I love everything about it! Adding it to the list. Great review.